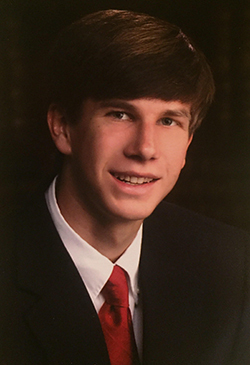 The Robert “Ben” Williams Minority Scholarship Endowment, which supports scholarships awarded for academic excellence, was established to provide assistance for young Mississippians or lineal descendants of University of Mississippi alumni. Recipients of this scholarships must be full-time minority students who are from Mississippi or are lineal descendants of graduates of the University. Scholarships are based on scholastic ability, leadership potential, and financial need. Recipients must maintain a minimum cumulative grade point average (GPA) of 2.5. Scholarship awards will continue, until a Baccalaureate degree is received, but in no case shall the awards exceed ten (10) semesters. Amount: $500/semester for 10 semesters or until graduation, whichever comes first. Deadline: Applications must be received in the Alumni Office by March 1. 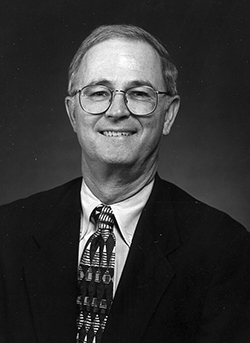 The University of Mississippi Alumni Association Scholarship endowment was established in 1998 and was renamed in 2007 in honor of Executive Director Emeritus Herb Dewees. The Grove Society Scholarship endowment was established in 2001. Recipients of these scholarships must be full-time students who are lineal descendants of graduates of the University. Scholarships are based on scholastic ability and leadership potential. One application serves both scholarships. Named for the beloved legendary assistant football coach here at the University, this scholarship was established by the M-Club Alumni Chapter in 1962. The scholarship is open to all prospective students and is largely based on need. To qualify, a student must be full time, remain in good academic standing with the University and attend periodic mentoring sessions with a member of the Alumni staff. Please click here for the PDF application. The Clay Waycaster Memorial/SAC Scholarship Endowment was established to assist deserving young men and women who are pursuing an education at The University of Mississippi. To qualify, a student must be a full-time student who is a current member of the SAC and has been for at least the last two semesters. Scholarships are based on leadership potential, need and cumulative GPA. Leadership and dedication within the SAC will play a major role in the awarding of the scholarship. Please click here for the PDF application. Amount: $500 for one-year, and can be renewed only by applying again the following year. The Timothy L. Walsh Scholarship endowment was established in 2014 and named in honor of former Executive Director Timothy L. Walsh. Recipients of these scholarships must be full-time students who are lineal descendants of graduates of the University. First preference will be given to graduates of Christian Brothers High School in Memphis, Tennessee. Students whose parents are graduates of the University of Mississippi are eligible to receive a Non-Resident Alumni Award. This award will pay $1,500 per parent, per year and is renewable for up to 8 semesters total. Other scholarships made available by donations from alumni and friends of the University.